Who Is Vincent Chin? 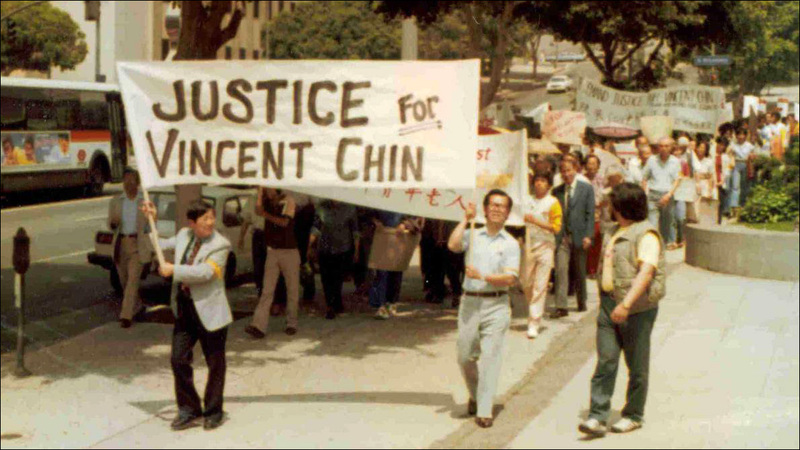 The History and Relevance of a 1982 Killing: Although the death of Vincent Chin has become a staple of Asian-American studies courses taught across the country, there are still many -- Asian Americans and others -- who do not know about what happened the night Chin was beaten or understand its continued significance for the Asian American community. Op-Ed: 35 Years After Vincent Chin, Echoes of the Past Haunt the Future: "Vincent Chin gave us clarity as Asian-American civil rights activists 35 years ago, and now we must bring those lessons to bear on a new generation of civil rights struggles." How Asian Americans Remade Suburbia: Asian immigrants, once the "ultimate outsiders," have profoundly reshaped the suburbs of the San Francisco Bay Area. A new book, Trespassers? Asian Americans and the Battle for Suburbia, explores that tension in the context of Fremont, California, the largest Asian American-majority suburb in the Silicon Valley. How The White Establishment Waged A 'War' On Chinese Restaurants In The U.S.: They may seem ubiquitous now, but not so long ago, Chinese restaurants were feared by the white establishment. How Anti-Chinese Propaganda Helped Fuel the Creation of Mestizo Identity in Mexico: Jason Oliver Chang's Chino: Anti-Chinese Racism in Mexico, 1880-1940, uncovers the forgotten history of anti-Chinese propaganda and violence around the years of the Mexican Revolution. In Little Saigon, scraping out a living, one home-cooked meal at a time: Com thang is a popular practice of home cooking made in mass quantities to sell as quick meals for families too busy to make their own meals. Such small business practices are familiar to many immigrant families. We're Indian-American With Adopted White Children And Here's What People Ask Us: Grocery trips turn into adoption education, and there is no shortage of difficult questions from the adopted children. After not finishing a book in 35 years, how my father became a reader: Mariya Karimjee shares about a very special book club of two: her and her father, who had not read a book in 35 years. Why You Need to Listen to Nancy, a Radically Honest Podcast on LGBTQ Issues: Nancy is a new podcast from WNYC, hosted by Kathy Tu and Tobin Low, that centers the LGBTQ experience. 11 Asian-American Playwrights Recommend 11 Asian-American Plays: Prince Gomolvilas reached out to eleven celebrated Asian American playwrights to recommend old and new Asian American plays.